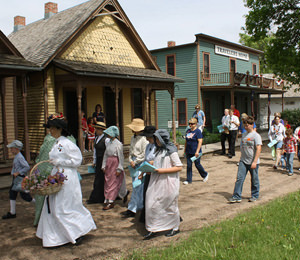 Grand Island is great for group tours, from the magical one-of-a-kind experience of the crane migration to the immersive pioneer history of Stuhr Museum. The Grand Island Convention & Visitors Bureau (GICVB) looks forward to sharing some of our grand hospitality with you and your group! We serve as your group tour storyteller, custom itinerary builder, receptive tour operator, and your best local resource. The GICVB assist you from planning and tour building through your whole tour experience so you can enjoy a little more and worry a little less! We will surprise, entertain, and engage your group while providing scrumptious meals and breaks. Some tour operators believe we possess a special CVB magic. We do work our magic to produce memorable tours and we certainly do know how to pull a trick or two out of our Island hat! 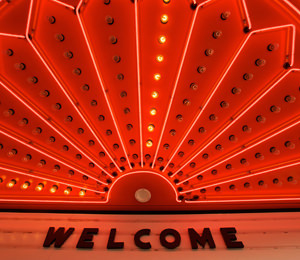 You will be pleasantly surprised with our 100 tour, program, and entertainment selections. In addition, our tour themes include mystery, agricultural, historical, wildlife, holiday, manufacturing, cultural, soft adventures, culinary, shopping and just plain ole fun. As the largest Nebraska community outside the eastern metropolitan area with a population of 50,000, there are a wide variety of choices for every group. Grand Island is easy to find since we’re smack dab in the middle of the country and half way to everywhere in the continental USA. Call Tricia today to start planning your Grand Island experience. Fill out the following form to download prepared itineraries. Stuhr Museum celebrates holidays throughout the year with good food, activities, and parades. 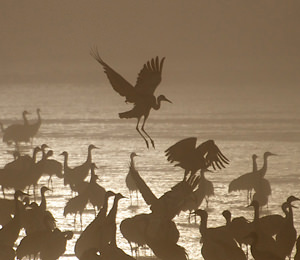 The Sandhill Cranes Spring Migration is one of the two greatest wildlife migrations in North American according to National Geographic. The Historic Grand Theatre recently completed a significant restoration of their facade and lobby, and the original art-deco interior remains spotless.